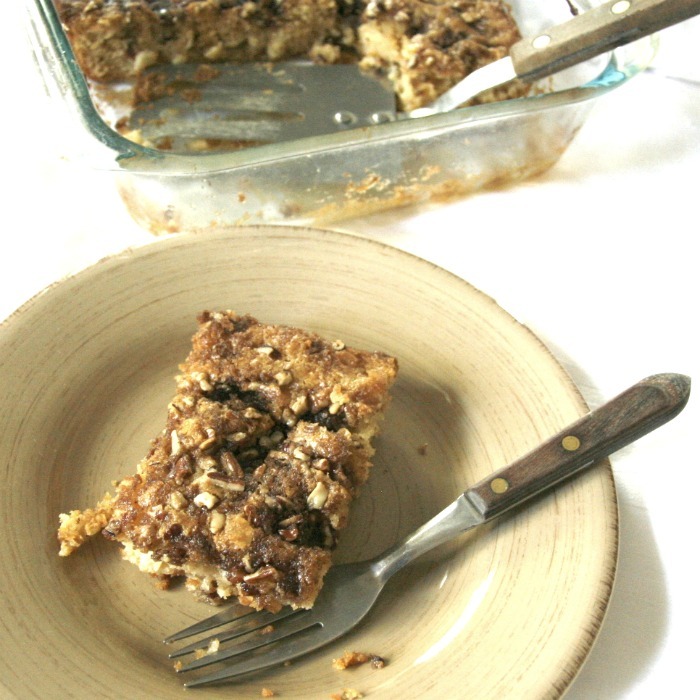 I wanted to make a special breakfast for their first day of school, and remembered an apple-nut coffee cake I made out of the Better Homes and Gardens New Junior Cookbook when I was young. My grandparents gave this cookbook to me for a birthday one year - probably the year it was published, and the stained pages are proof I used it often. I remember the thrill I felt when I opened up my own Better Homes and Gardens cookbook.We still have it, on the girls' very own cookbook shelf. 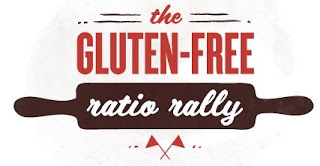 I knew I wanted to recreate that recipe, gluten-free, and a little healthier. It's really simple, and it's so delicious that I made it not only Monday morning, but again this morning - served with poached eggs each time. Yum. It's been a huge hit with the entire family. My youngest, however, insisted that I call it something other than "coffee cake" because it doesn't contain coffee. I tried explaining why it's called coffee cake, but she wants a different name. So be it. Preheat oven to 350 degrees and grease 8x8 baking pan. Combine Pamela's mix with salt and flax seed. Combine sugar and coconut oil in large mixing bowl, mixing well. 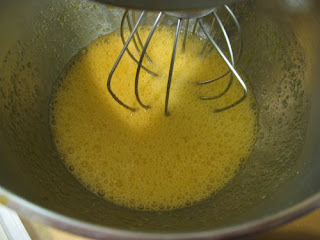 Stir half the dry ingredients into the egg mixture, then add the sour cream. When it's all incorporated, stir in remaining dry ingredients. Stir in chopped apple. 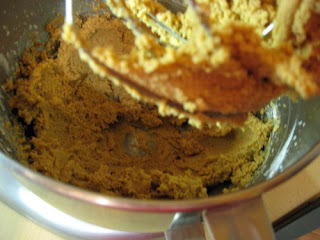 Spread into greased pan. 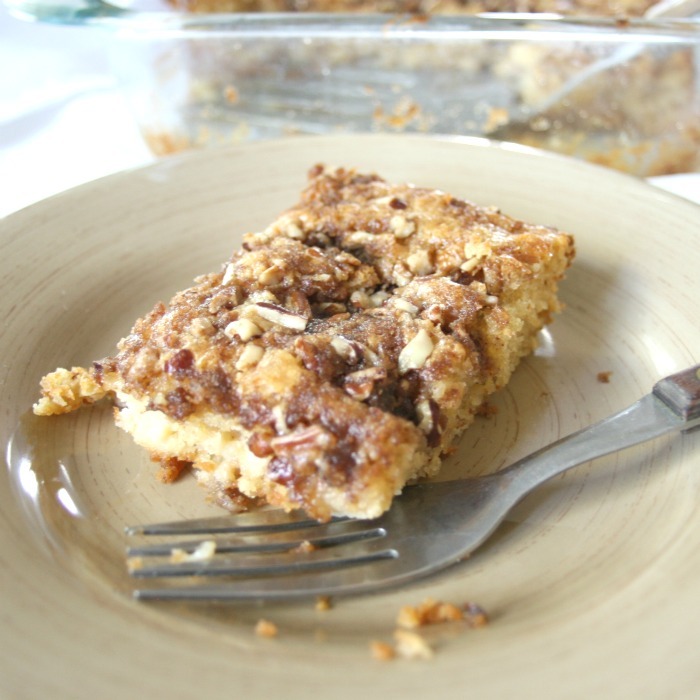 For topping, combine butter, brown sugar and cinnamon in a small bowl with a fork or your fingers until crumbly, then add pecans and mix in with fingers. Sprinkle topping on top of the batter and place in oven. 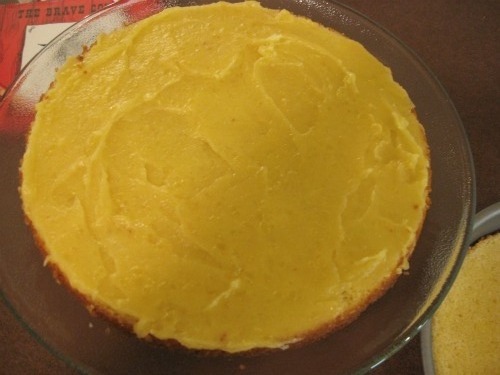 Bake approximately 30 minutes, or until cake bounces back in center. This post is linking up with other cake recipes in a #cakelove Blog Hop! There are many, many in this country and in this world who are suffering right now, as always. Times are hard. And times like these allow us to see the goodness in so many others. We've had natural disasters take lives and homes several times over in the United States and worldwide in the very recent past. Drought and famine are making things hard. Members of the military are being killed or dismembered, and their families are struggling not only with emotional upheaval but wondering what step to take next in providing for themselves. And we learn of tragedy striking a familiar face or name - someone we've never met by name but they run in the same circles as mutual friends, or they are in our social media world. And we hurt for them. And we reach out to them, as we should. People we've never met. We want to help them, comfort them, pray for them. We give to organizations coordinating relief efforts. We give to funds and bank accounts set up for children and families. We give to our churches to coordinate and pass the money on to where it's needed in our communities and elsewhere. I'm not one of those people who believe everyone should be forced to give to and help others. I'm one of those people who believe that most individuals have feelings, and are moved to compassion and a desire to help when they can with what they can and are glad they are free to do so. And that many times, this brings them to voluntarily give much more, and more often, than if it was forced out of their pockets. And if they aren't able to give monetarily, or even donate clothes or household goods, they willingly give what they can through prayer. This is why I have written similar posts regarding help or prayer for those in need a few times in the past. I've felt the need tugging on my heart and felt compelled to share. This is one of those times. A non-profit organization called Bloggers Without Borders has recently launched in an official capacity to help others in need, and I feel like there couldn't be a more perfect time than now to let everyone know about this blogger-based charity. Most of you by now have heard the story of food blogger Jennifer Perillo and how she lost her husband to a heart attack recently. She and her two young daughters are starting down a new road in life, and need our prayers. The food community showed their support for her over the last two weeks as thousands of peanut butter cream pies were made around the world. Several bloggers were working together to start a fund for Jennifer and her family, and announced the details today (Monday). If you would like to donate even a very small amount to this fund, you can read the details in this post, or you can click on the button below. (They say that unless you specify in the transaction, all funds collected will go to the #afundforjennie campaign.) If you want to know more about Bloggers Without Borders, you can visit their site. And if you aren't able to donate, please keep Jennifer and her family in your thoughts and prayers, along with the others who have lost loved ones. When I read her post, it reminded me that I hadn't made an apple pie in a long time. My husband loves apple pie. We had a crazy week, just coming off of vacation and having soccer camp, and leaving again in a few days, but I knew I wanted to make an apple pie for my family. I made the quicker version, a French apple pie, so I didn't need to make and roll out crusts. It was worth enjoying it with them in the moment. (I'll share that recipe another time.) 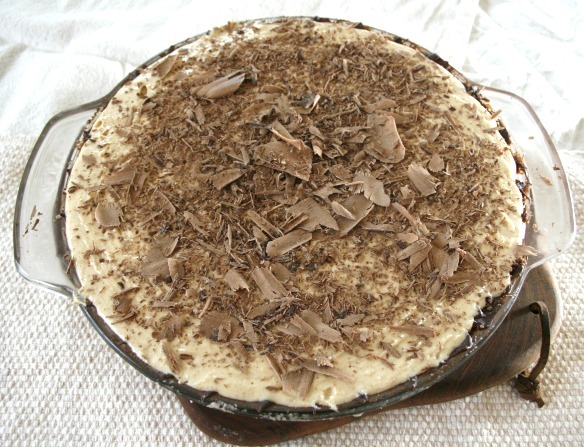 Make a pie for those you love, give them a big hug and enjoy the moment. *Edit 8/22/11: Please see the note at the bottom of this post if you'd like to help out with donations. A fund has been set up for Jennifer and her daughters. 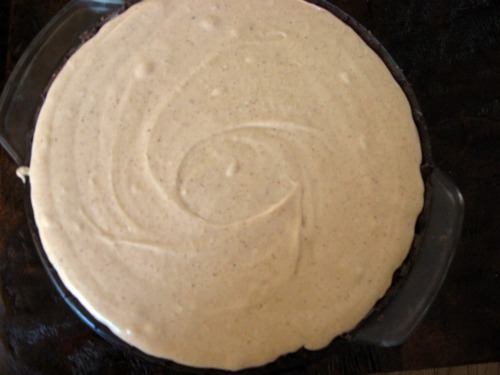 I was traveling on Friday, and out of town all weekend - so wasn't able to make the peanut butter pie on the day most of you out of there were making it. I made it on Monday instead, and said a prayer for Jennifer and her family as I prepared the pie, and again as we've eaten it. I'm once again in awe - and proud - to be a part of this amazing food community. 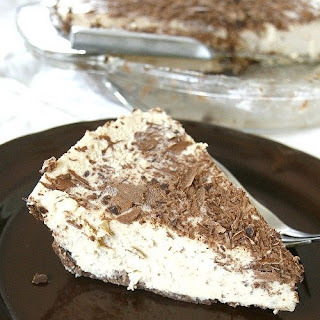 Hundreds, most likely thousands, of individuals made their version of peanut butter pie for Mikey on Friday, or in the days since. One only needs to go to Twitter and search for the hashtag #apieformikey to see an incredibly overwhelming stream - even today - of peanut butter pies, for Mikey and Jennifer. A visit to food photo sites such as Tastespotting and Foodgawker will show hundreds of gorgeous peanut butter pies. Todd Porter and Diane Cu, from White on Rice Couple, created an amazing video of making their pie, with quotes from others. 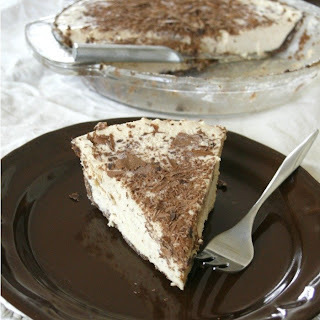 I mentioned above that this is the first time I've made peanut butter pie. I don't know that I've ever even eaten a piece of the dreamy concoction - although I've seen them around. Unless peanut butter is consumed with a good amount of chocolate, I've never cared for the stuff. I don't even keep it in the house (love almond butter). When I was pregnant with my oldest, I had an intense craving for peanut butter chocolate cups over a period of weeks. I got to the point where I started making my own chocolate peanut butter balls rather than have my husband go to the store, yet again, to buy me peanut butter chocolate cups. I guess my aversion to peanut butter unless it's paired with chocolate has just naturally made me shy away from this pie. Never again. 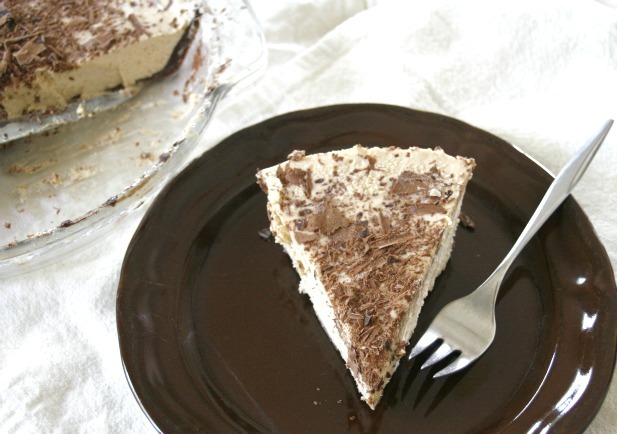 This pie reminds me of those peanut butter chocolate cups, and I love it. It's that good. I can learn a lot from my youngest. I want to slow down and savor each moment with those I love. I want to break out in song, sing along with those who do - or at least stop and listen to the music. It's savoring those moments that Jennifer Perillo wanted us to get out of making peanut butter pie in memory of her husband. She wanted us to slow down and enjoy life, in that moment. 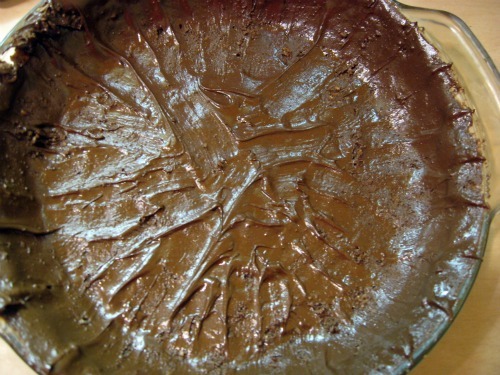 In Jennifer's recipe, she makes the crust from chocolate cookies. 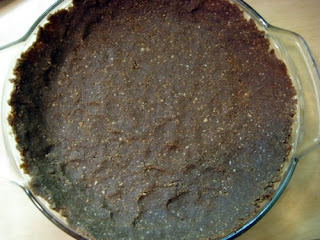 There are certainly gluten-free chocolate cookies out there that you can use, but this cocoa almond flour crust I made worked perfectly for our needs. Covering it with the melted chocolate made it hold together very well. Melt chocolate in microwave 45 seconds then stir, and melt for an additional 15 seconds if necessary. 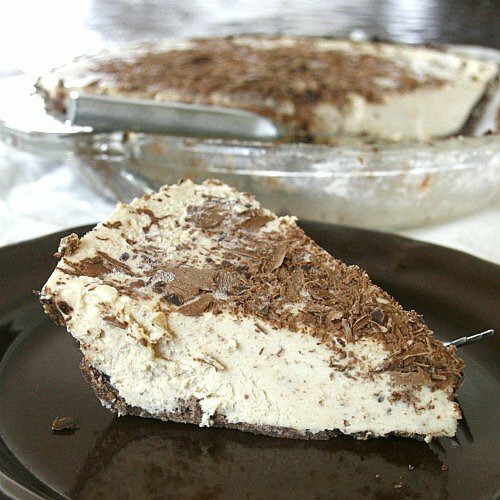 Carefully spread melted chocolate over the bottom and up the sides of pie crust (it helps if you have a little, flexible spatula for this). 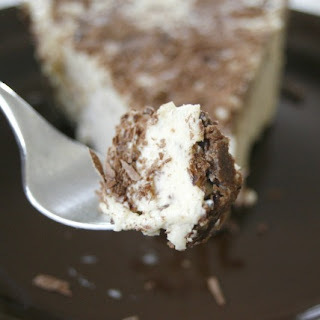 Place in refrigerator while making the filling. 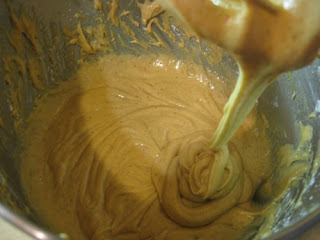 Pour cream into mixing bowl and whip until stiff peaks form. Place in refrigerator while preparing the rest. Place cream cheese and peanut butter into large mixing bowl and beat until light and fluffy. 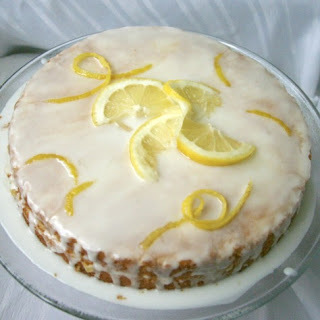 Reduce speed and gradually beat in the powdered sugar, then add the condensed milk, vanilla and lemon juice. Increase speed and beat until all the ingredients are combined and smooth. 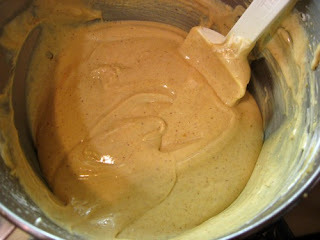 Stir in about 1/3 of the whipped cream into the peanut butter filling, then carefully fold the remaining cream into the filling. 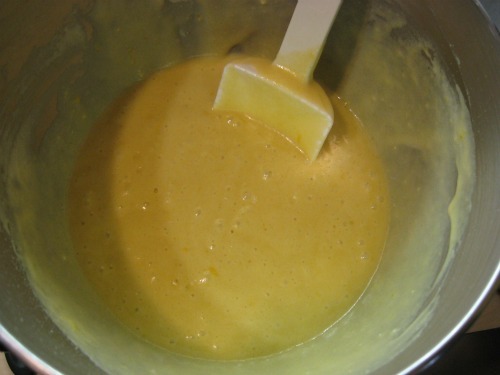 Pour filling into the prepared pan, and refrigerate for three hours, or overnight, before serving. *Note: I ended up freezing it about an hour and a half before cutting and serving, to have more uniform slices than what I was getting just from refrigerating it. I ended up storing it in the freezer and cutting the slices, then letting them sit and thaw several minutes before serving. I hope you make a pie for those of you love, and serve it with a hug. Tonight we'll be finishing the last of our creamy peanut butter pie. I'm going to sit and savor each bite and enjoy the time with my family, and say a prayer for Jennifer and her girls. I hope our youngest breaks out into song about the pie again - and I'll sing along with her. Do ever just crave donuts, but don't have the time or energy to make them? How about you, or child, is in a situation where everyone around is going to eat a donut but there aren't any gluten-free ones available? This, for our family, is where Kinnikinnick donuts come in. 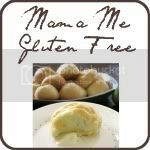 They are pretty darn good for a gluten-free, dairy-free, soy-free, potato-free cake donut. We honestly enjoy all of the flavors: Maple, chocolate, vanilla and cinnamon-sugar, but I think maple is my personal favorite. 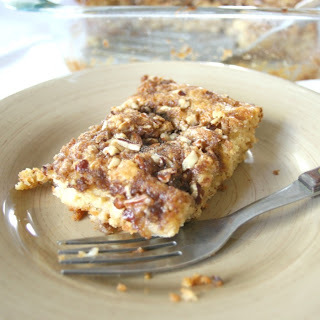 They have come in handy many times in several situations, or just when we are craving a quick snack or something sweet to go with protein at a special-occasion breakfast that I haven't had time to bake much for. They aren't like your yeast donuts, but they are definitely a good replacement for cake donuts. I intended to give you a food post today, but I'm just not able to today. I learned yesterday that someone in the food blogging community was hurting. Though I don't know her personally, she is in my Twitter world and I know she is close to my age and also has two daughters. 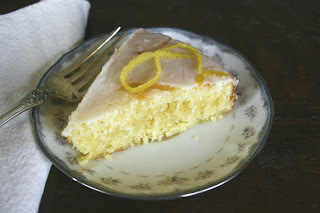 Jennifer Perillo (of In Jennie's Kitchen) is well-known in this community of food bloggers - an ever-expanding community I am fairly new to but love. We all come from different families, friends, political and religious beliefs but we are united in our passion for good food and sharing that passion. I enjoy learning more about these fellow food bloggers and reading about their kitchen adventures. Jennifer lost her husband to a sudden heart attack the other night. Suddenly, he was gone. And with so much life left ahead of him. I have been heartbroken for her since finding out. She posted a video on her blog yesterday of her husband and one of their daughters dancing, and titled it "one last dance." It took my breath away and I cried for hours after watching it. This isn't the first time I've learned of tragedy hitting someone I don't personally know through Twitter, Facebook or some other method. I've certainly read several blog posts from fellow bloggers that have made me grieve for their loss of a loved one, be it family or friend. I have cried for them and prayed for their peace and comfort. And certainly there are many losses all around us every day, from life in general or political unrest, or whatever the reason. Certainly there are many in my thoughts and prayers these days, who have lost so much. Life can be tragic. And life can be beautiful. This time, though, it has rocked me on a deeper level. Perhaps because of the common traits I mention above, she and her family are in my constant prayers and thoughts. I keep wondering how I'd cope if I lost the love of my life, and keep remembering that life can be short - so enjoy it in the moment. Each moment. Say what you want about technology taking the personal out of life - and it can be true - but it's been my experience that these little (or big) communities within something larger, like Twitter, reach out to each other when a need arises. Words of comfort and condolence are provided in a constant stream to those in need. Or joy and celebration when someone has happy news. So many more people are praying and thinking about Jennifer and her family now because of it. I've already read some beautiful blog posts about her loss that put into words what so many of us are thinking. Please keep Jennifer and her family in your prayers and your thoughts right now. And give a big hug to each of your loved ones around you right now. I have a lot of happy memories surrounding cake of all kinds, flavors and colors. I don't think that's necessarily because cake makes me happy, but mostly because I was eating cake during happy times. 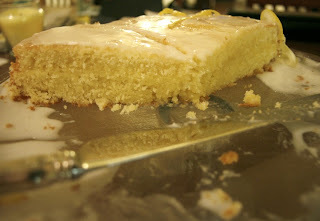 That said, however, let's face it: Cake makes me happy. I love eating cake, I love decorating cake, I love the satisfaction of mixing and baking a cake and pulling it out of the oven and knowing that I did a good job, and that the cake cooperated with me to turn into a good cake. And did I mention I love eating cake? 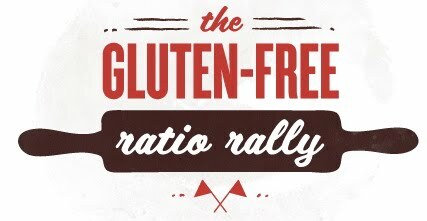 Cake is also the reason I decided to give the ratio rally a try. 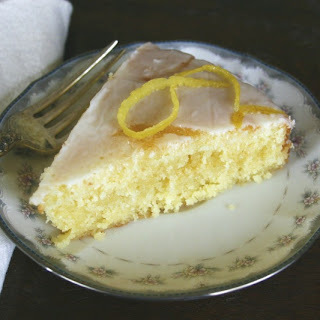 Cake is the first thing I tried with weight baking (not ratio) - and it was the weight baking that made my favorite cake recipe finally come out perfectly while still being gluten-free - as I detail with many words and photos in this post about my beloved four-egg cake. I tried to get my four-egg cake to work out into a clear ratio because in my own opinion and that of many friends and family members, it is one of the best cakes ever. Sadly, however, it just didn't work out into a ratio that made much sense. I'm glad, though. I once again was forced to step out of my comfort zone and try something beyond my tried-and-true. The result was nothing short of mouth-watering delicious. 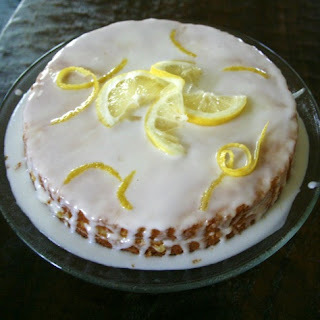 The texture soaked up the flavor quite well, and it was the perfect amount of sweet and almost-puckering lemon. 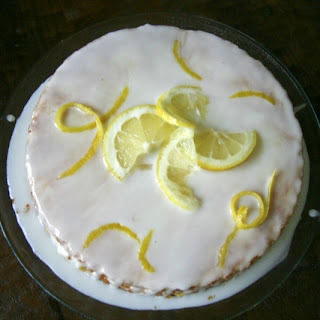 I make a lemonade cake that has a little different texture and frosting, and wanted to get a similar taste in a bit different cake this time. 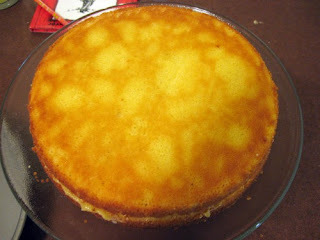 For this cake, I used Michael Ruhlman's sponge cake ratio of 1:1:1:1 (1 part egg:1 part sugar: 1 part flour: 1 part butter - 8 ounces each in this recipe). 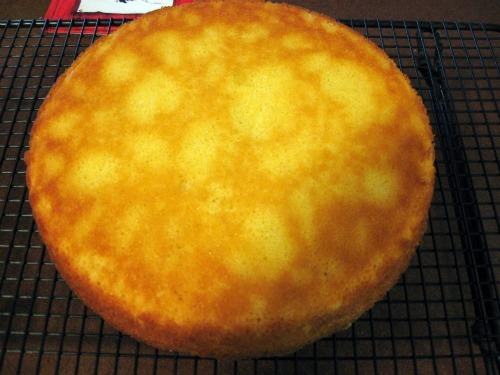 That being said, I'm not sure if it was because of the gluten-free flours or the difference in mixing according to Ruhlman's instructions as opposed to what I'm used to for sponge cakes (Joy of Cooking ), but this cake turned out much more like a butter cake, in my opinion, than a sponge cake. 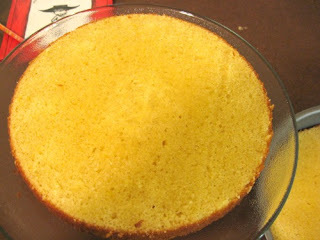 I'm used to sponge cakes (even my gluten-free ones) being much more light - almost like an angel cake with a yellow color and not as high. This cake was very firm and pretty dense. But it was a fantastic cake, nonetheless. The next time I make it, I'll experiment with backing off an ounce or so of starch and replacing it with more brown rice flour, as well as using my preferred organic cane sugar rather than the refined pure cane sugar I used this time around. I think the flour change may make the cake have a little more tender crumb. Preheat oven to 350 degrees and line bottom of 9-inch round cake pan with parchment paper. 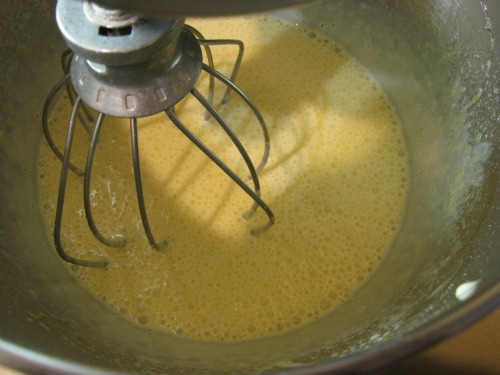 until the eggs have turned a light yellow color and have increased some in volume. Sift your room-temperature flours together with the baking powder and carefully fold the flour mixture into the egg mixture until combined. 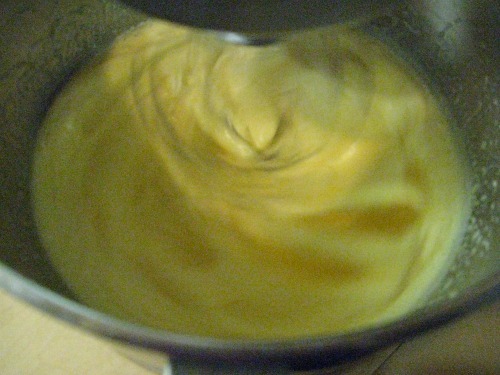 Fold room-temperature melted butter into the mixture and pour into lined pan. Bake 35-40 minutes, until a toothpick inserted in the center comes out clean. I opened my oven at 25 minutes to check it and it was too soon, causing the cake to fall a little in the middle. Place pan on a wire rack to cool for several minutes. When cooled enough to touch, run a knife around the edges and flip over onto the wire rack. Let it cool a few more minutes, then carefully slice the cake in half horizontally to make two layers. 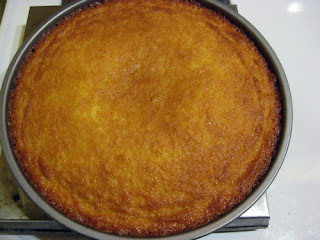 Place the cake pan back over the layers, flip back over and cover with plastic wrap. Place in freezer until firm. 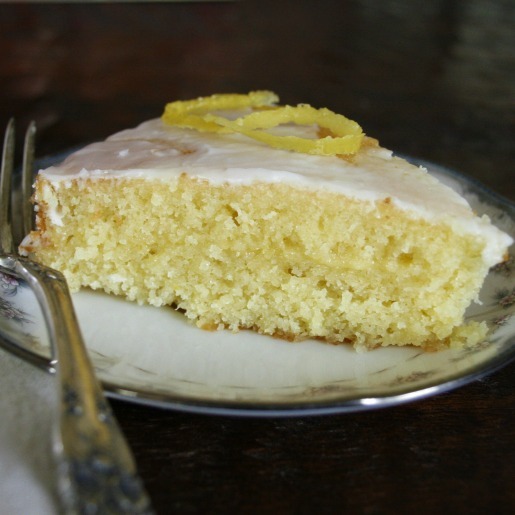 When cake has firmed up some, remove from freezer and place the first half on a cake plate, cut side up. then place the remaining half on top, cut side down. Prepare your glaze by mixing the powdered sugar with just enough fresh-squeezed lemon juice to make a glaze with a good spreading and drizzling consistency. You don't want it to be too thin, but not nearly as thick as a traditional frosting, either. Spread glaze over the top and drizzle over the sides. 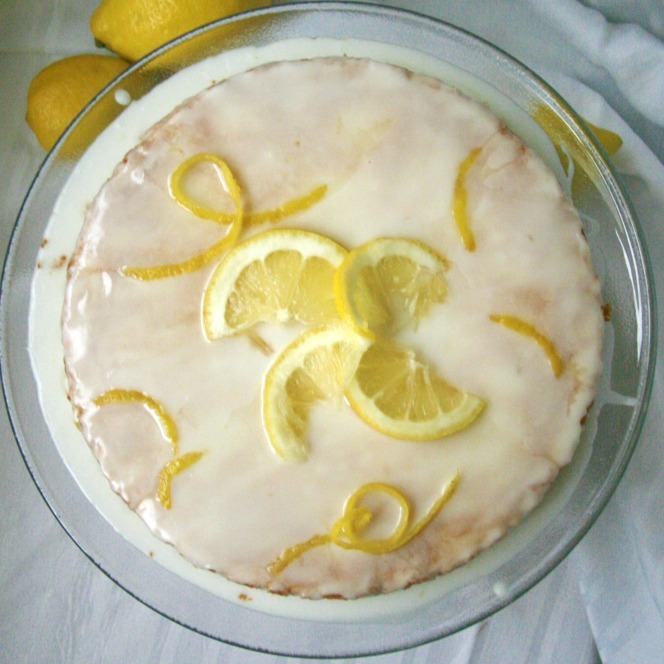 Garnish with lemon peel curls and thin lemon slices. 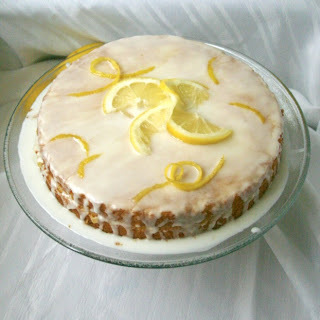 Allow glaze to set before cutting into cake. If your family is anything like mine - and thankfully my mom was visiting to help out with the tasting, be prepared to have most of the cake eaten in one sitting. (I did help, too. Quite a bit.) They loved this cake and said it was almost as good as my four-egg cake, and it was so close it was almost hard to tell. 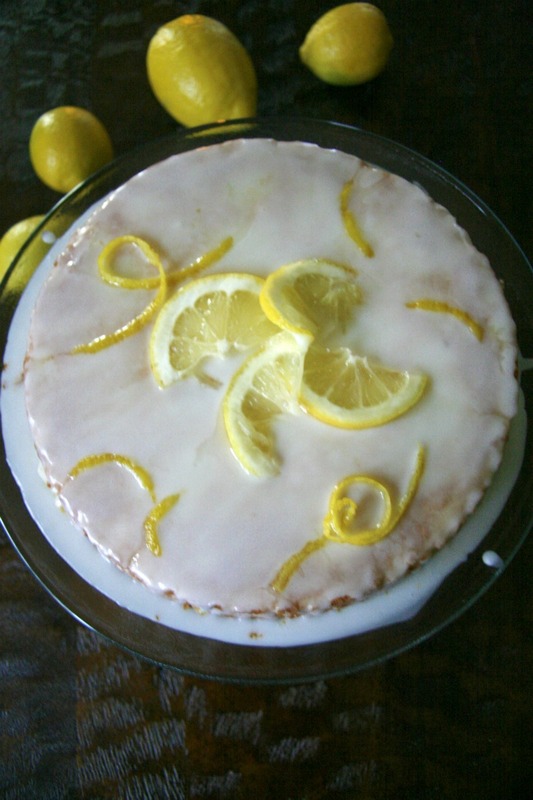 And don't forget to head over to Kate's post at Gluten Free Gobsmacked to see her yummy cake and all the other great contributions this month!